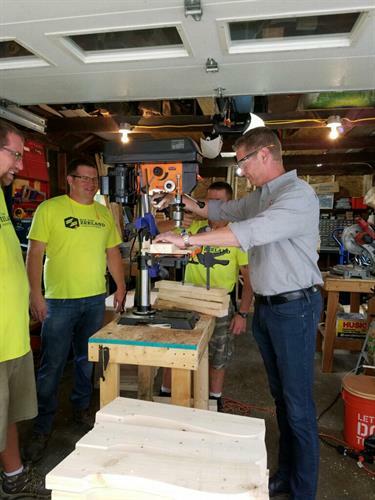 Zeeland Lumber & Supply focuses on Customer Experience. Serving West Michigan, Eastern Michigan, and Northern Indiana, we offer the best in customized solutions. Not only do we supply leading lumber and building material products but we also manufacture roof trusses, floor trusses, and wall panels. Leveraging the latest technology our sales and design teams meet the demands of our fast-paced marketplace. Our teams seek to understand the specific needs of each customer so that we can meet and exceed expectations. Additionally, our operating systems, including warehouse management and GPS on all our trucks. We measure the things our clients say are important like on time and complete deliveries as well as speed to remove credits from the job site. Although not perfect, our mindset is one of continual improvement. That continual improvement leads to transforming people and communities in the areas we serve.